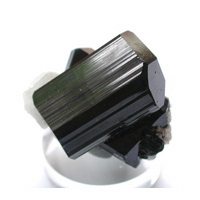 Black Tourmaline (Schorl) is an important crystal specimen with a hardness of 7. 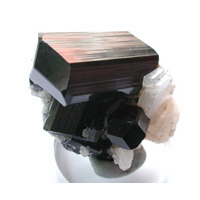 Although it is not transparent or even translucent there are collectors seeking out the best examples. 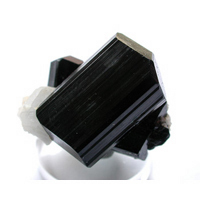 The best black tourmaline crystals have laquer finish faces and are solid black. 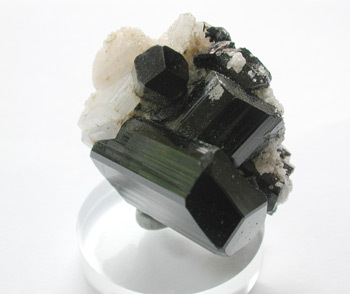 There are black tourmaline crystals mined in Madagascar, Brazil, Pakistan and California. 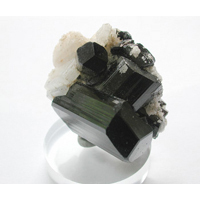 The metaphysical uses of black tourmaline are as a protective stone, it is said to dispel negative energy. 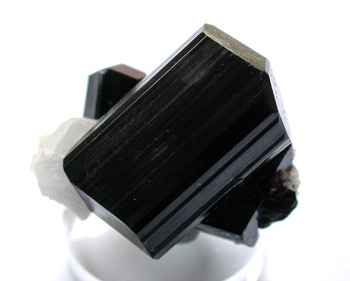 Natural Terminated Black Tourmaline Crystal from Madagascar. 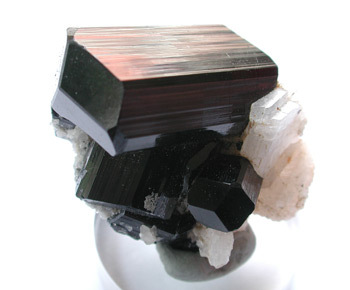 This tourmaline crystal cluster is top notch. There is no damage on this specimen. 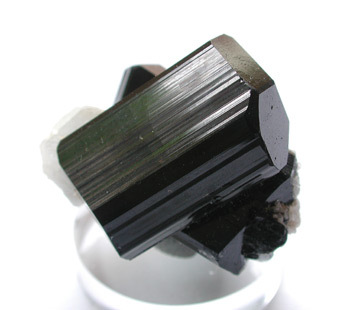 Our finest offering of black tourmaline crystals to date.